The infographic takes a look at all the happenings that happened inside one of the most popular photo and video sharing app Snapchat as it underwent a lot of changes with updates that followed. Take a look at the most important Snapchat updates from May. 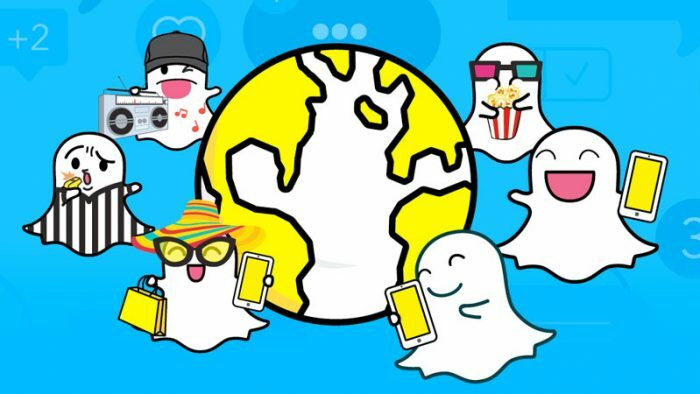 Snapchat recently rolled out the inaugural insight into their monthly ‘Snap Chatter’ series that discloses the events and topics that set the Snaps rolling based on region, trending slang and sticker searches and more such information that can help uncover Snapchat trends for brands. Over 191M people use Snapchat on a daily basis per the brand, and out of the voluminous everyday interaction among these users, a few topics emerge to be common and trending such as the holy month of Ramadan, Mother’s Day and even the Royal Wedding which were talked about the most. Marketers attempting to get on board Snapchat during these friendly times will receive an immense boost by unearthing audience patterns and other Snapchat trends. While Ramadan was the most talked about topic in Algeria, Pakistan, Belgium, Saudi Arabia, France, Sweden and other countries, India, Dominican Republic, Mexico, Netherlands, Ghana and others talked the most about Mother’s Day on Snapchat. Check out all the Snapchat trends that captured the attention of users last month, and earn a sneak-peek into the mind of the millennial user.